Rustic, Traditional, Contemporary, Transitional & More! 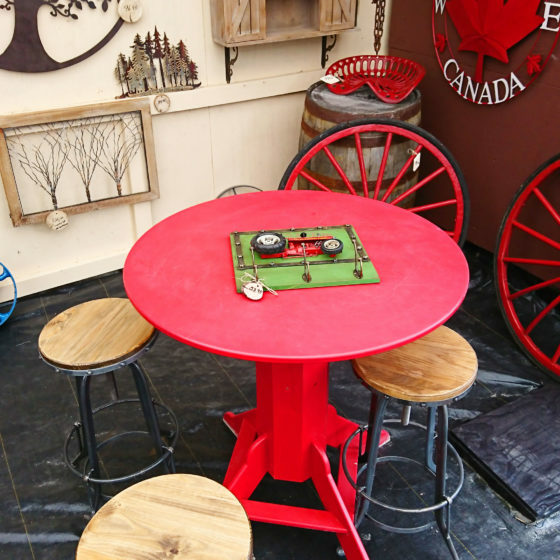 Both of our locations have a variety of handpicked new and vintage items, from Antique Farm Equipment, Wall Art, Furniture & home décor items Including lamps, clocks, accent pieces, garden décor, antique bottles, tables, chairs and more. We have a growing and always changing inventory of items at both of our locations. 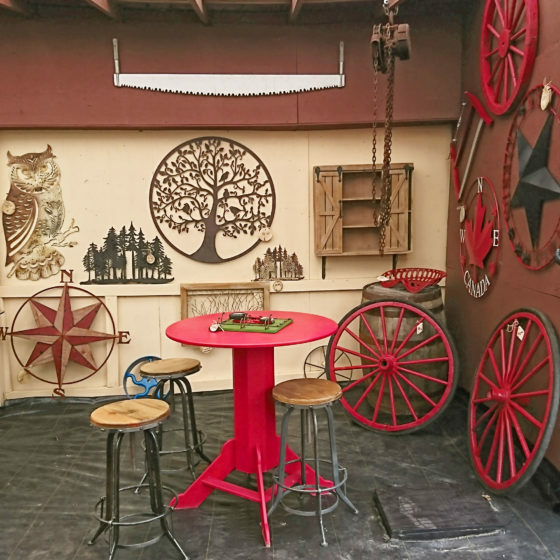 Rick and Colleen have discovered a passion for antiquing. They feel that Antiques in the right place can be displayed as a beautiful work of art, a conversation piece or a wonderful focal point in your home or cottage. 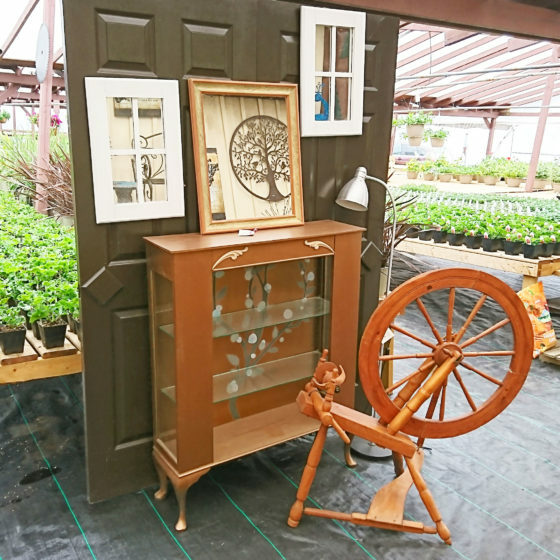 We have been so successful with our vintage and antique sales that we saw a need to complement the wonderful older inventory with some new choices. Stop in to our Port Carling or Windermere store today. You may find that jut right piece you have been searching for. 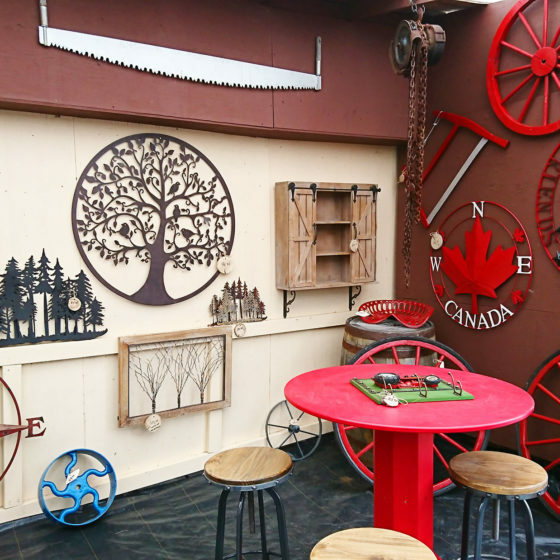 Rick has a love for antique farm equipment and feels these treasures from the past can be repurposed as garden accents, lawn ornaments and décor for your home or cottage. 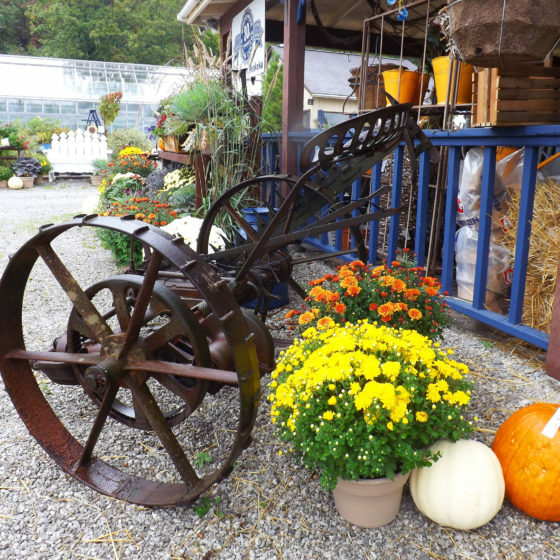 We have more than just flowers to make you garden and yard beautiful.Bird baths, unique sculptures, forest animals, or pretty butterflies. 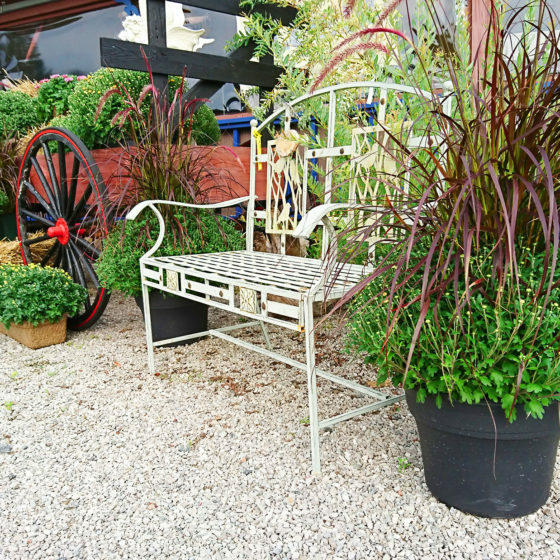 We have many eye catching items to enhance the beauty of your garden. To make your life a little easier, we can plant up your window boxes, hanging baskets and planters. You tell us what you like, what colours you want to see and if your gardens are in sun, shade or both.